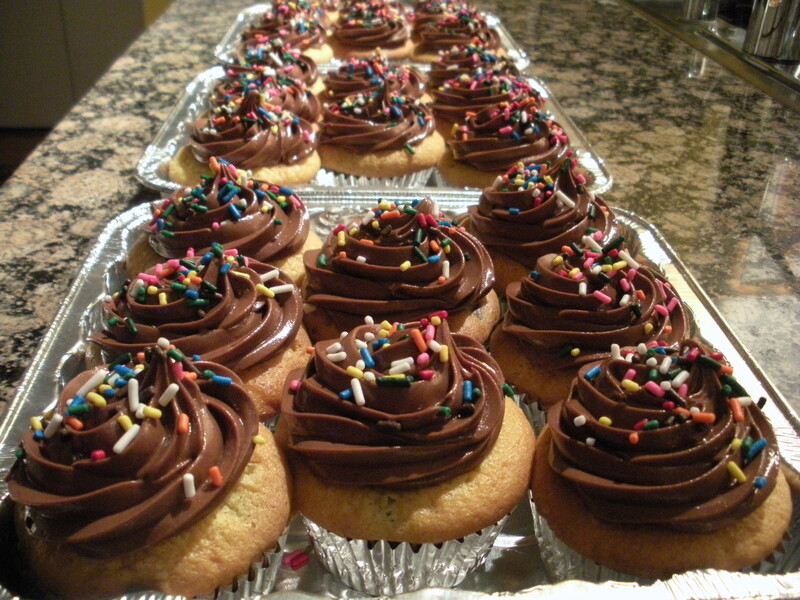 This frosting is dangerous! So simple to make and with the texture of silk and rich chocolate flavor you are sure to eat more than you want. I love the consistency of store-bought tub frosting but I don’t like the processed taste. Problem solved with this recipe. I wrote it down while watching an episode of America’s Test Kitchen and have been making it since. If you don’t have a food processor I think a mixer would work but be sure to sift the cocoa and powdered sugar before you add them to the mix. 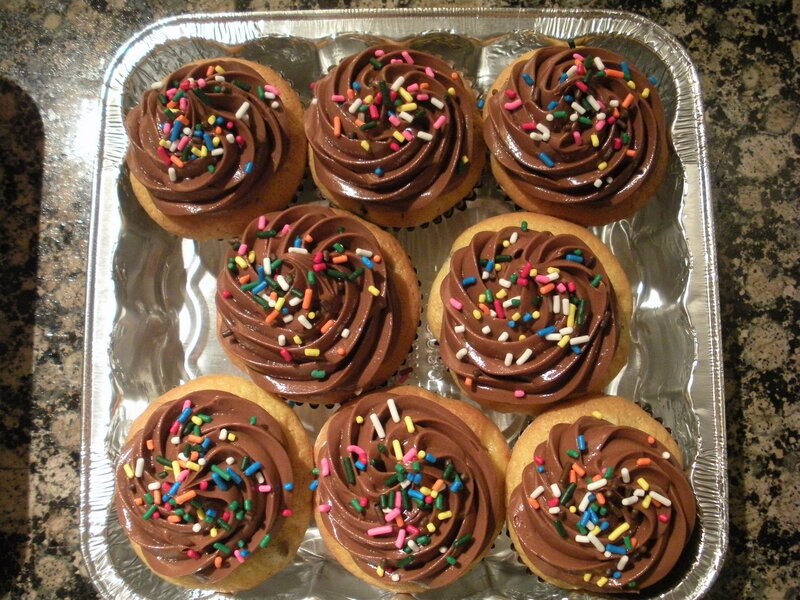 The cupcakes in the images above are a modified version of this recipe using a yellow cake mix with vanilla pudding and semi-sweet chocolate chips. In a food processor with the blade attachment, pulse the butter, sugar, cocoa and salt until smooth, scraping the sides as needed. Add the corn syrup and vanilla and process until just combined. Scrape the sides. Add the melted chocolate and pulse until smooth and creamy. Enjoy and share your comments. I’d love to hear what you think. Hi! My food processor is just a mini. Can I make this in the Kitchen Aid? Also, I’m making your Monster Cookies tomorrow so Luke and I can go see his dad at work on Wed (his actual bday) and pass out cookies to all the agents/staff. I will write you and let you know what great reviews those cookies get!! !